The Yamaha PAC012 is Yamaha's lowest-priced, solidbody electric guitar. Its comfortable neck, fast action, versatile HSS pickup configuration, and affordable price make it an excellent first-time electric guitar. Case sold separately.Check the drop-down menu to the right to select colors and/or other options. The Yamaha PAC012 is Yamaha's lowest-priced, solidbody electric guitar. 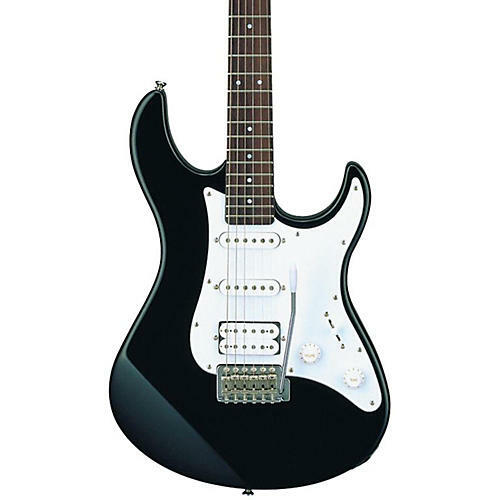 Its comfortable neck, fast action, versatile HSS pickup configuration, and affordable price make it an excellent first-time electric guitar. Case sold separately.